www.faultcodereaders.com | Read and Reset your own Fault Codes! Airbag Light Symbol on your dashboard. If the airbag light has come on in your VW (or any of the VAG models) you might be concerned that it’s an expensive fix. Airbag lights (also known as SRS) will illuminate if any part of the system is compromised. So, even if a cable is disconnected and reconnected, the light will remain on. In many cases just moving a seat right back can pull on the connection. We hear many cases where someone installing new audio equipment has disconnected the system inadvertently. Not to worry, it can easily be reset with the VAG Reader and Resetter in seconds. Just plug in, press a few keys – the codes will be reset and the light extinguished! The basic Reader/Resetters also cover Engine Check and ABS lights. In addition Automatic Transmission. An invaluable piece of kit which pays for itself many times over with one use. 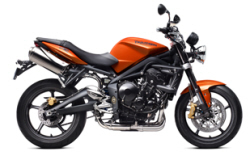 TuneECU is a totally FREE software for the reprogramming, diagnosis and testing of the Engine Control Unit (ECU) fitted to Electronic Fuel Injected Triumph, KTM, Aprilia & Benelli motorcycles. 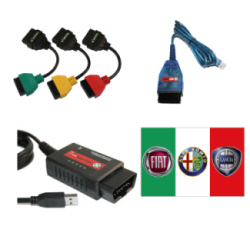 If you own a Fiat, Alfa Romeo or Lancia vehicle and are looking for a diagnostic system which will cover various systems and not break the bank, look no further than MultiECUScan software (formerly called FiatECUScan). 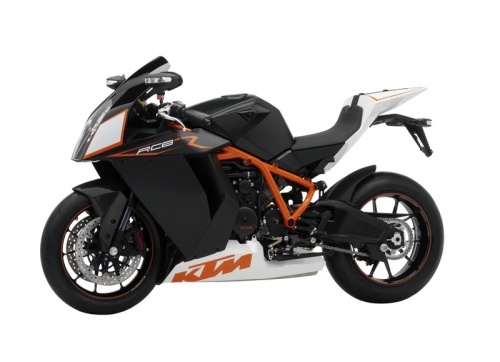 Using an ELM327 interface, KKL lead and Adaptor cables (kit available here) you can access multiple system, including Engine, ABS and SRS (Power Steering). You can download a free limited version of the software and for just 50 Euros register to get all functionality. With the price of the hardware added this is great value for money for the home DIYer or professional mechanic. 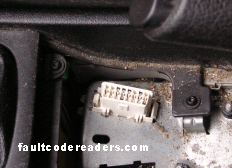 Diagnostic socket on an Astra G (found under plastic cover) - Hmm...needs a clean out too! The diagnostic socket is rarely obvious. Sometimes it will be concealed with a blanking plate or much lower down the dash so can only be seen if you place your head in the footwell area. Start by sitting on the passenger seat and leaning down so you look around just above the foot pedals. Best to use a torch. Then look for any panels on the lower part of the dash area on the driver’s side. If you still can’t trace it, it’s likely to be somewhere in the centre dash area extending back to the handbrake area, behind a blanking plate or ashtray. If all else fails, ask your fault code reader supplier for advice. Please do not assume that your vehicle is OBD2 compatible because it has a 16 pin diagnostic socket. See here for more information on OBD2 compatibility. 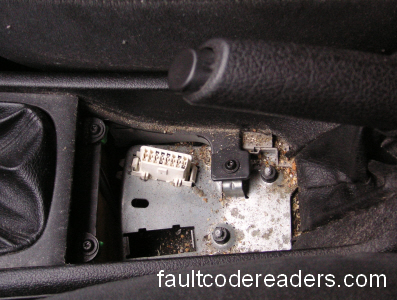 When reading codes from your vehicle the fault code reader may show them as pending codes or normal Diagnostic Trouble Codes (DTC). Pending codes (also known as continuous monitor codes) will be registered when an intermittent fault occurs. If that fault does not happen again after x number of start/stop cycles, the ECU will erase the code from memory. If the fault is persistent it becomes a DTC. If you have read pending codes it is advisable to check the codes again after a week or so. If there is no apparent problem with the vehicle it is safe to erase the codes too and check back. But always make a note of any fault codes with the date and mileage of a vehicle. If the codes read include a DTC then you need to investigate further. This you can either do yourself or advise your garage. If, again, you don’t see an apparent problem (depending n the severity of the code) with the vehicle you can note the codes down and erase them. Then check again after a week or a few days depending on how often the vehicle gets used. If a repair has been made (previous owner) the DTC may just not have been reset after the repair. Car Diagnostics – Get it fixed!